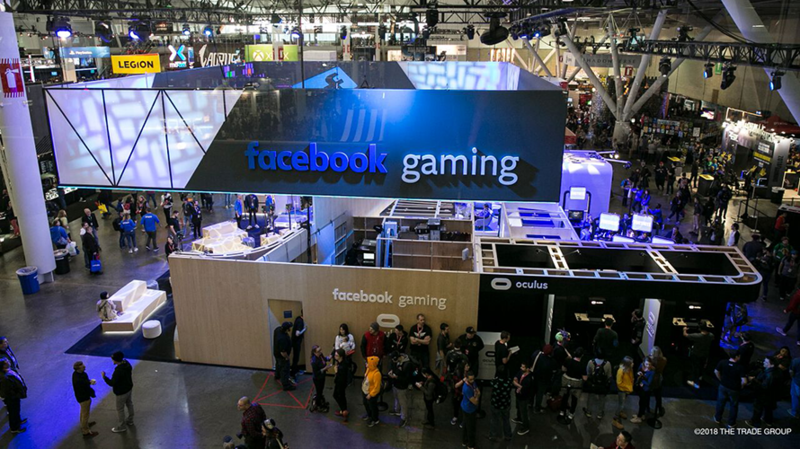 Facebook also had a booth at PAX East in April. Ahead of the Electronic Entertainment Expo (E3) in June, Facebook revealed its plans for the video game conference. The social network will have a Facebook Gaming Booth on the show floor, where popular livestreamers including Darkness429, MelonieMac and StoneMountain64 will make appearances and stream to their communities. In addition, in the West Hall lobby of the Los Angeles Convention Center, Facebook will create a series of “shareable moments that connect gamers with the games they love via the power of Facebook.” In this area, attendees will also be able to watch a session at the Facebook Live studio, hosted by gaming personality Andrea Rene. Finally, Facebook will partner with gaming personality Geoff Keighley and the Entertainment Software Association to further its Women in Gaming initiative at the E3 Coliseum. In addition to announcing its E3 plans, Facebook also revealed how users are chatting about video games on its platform in the lead-up to the show. Facebook said 81 million people around the world have posted, liked, commented or shared something related to E3 and video games 235 million times over the last 90 days. Of these users, 35 percent were between 25 and 35 years old, and around 44 percent were women. E3 2018 will take place at the Los Angeles Convention Center June 12 through 14.